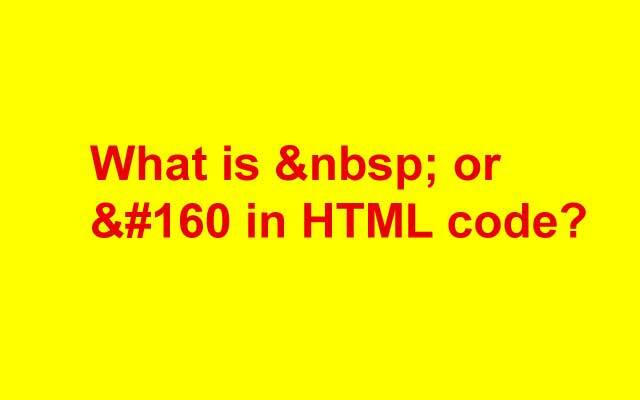 What is nbsp; code in HTML? Home / Code and Symbol / What is nbsp; code in HTML? &nbps; is a non breaking space code usually used in HTML. If you are using space character without code. &nbsp; it will break the code, thus the program cannot read the command correctly. To create fixed space you also can use code &#160; it will also create non breaking space that will not break the code by wordwrap.